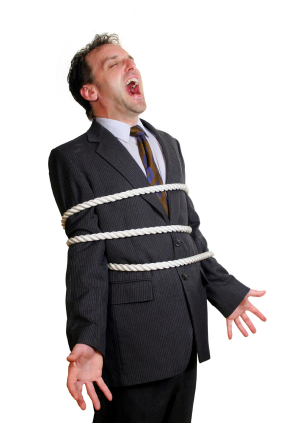 In the past few weeks we have worked with several new clients who have been held hostage to their web developer or hosting services provider. It’s such an uneasy feeling to need information and not be able to get it. That is exactly what happened to these clients. The situation, in each case, was somewhat different but the outcome was the same. Their website service provider had not provided them access to their domain or hosting accounts and would NOT willingly provide it. Most small businesses don’t realize what they need to know. Here are important pieces of information you should have on file for your website maintenance. You should get this information when you enter into an agreement with the website developer and/or hosting provider. The Social Buzz Lab has a document we provide our clients. Feel free to download this document and enter your information for safe keeping. Are we missing anything? Do you have other information that you feel should be added to our list? Feel free to leave your comments! Do you have a situation you’d like to share? Thanks Phil! Appreciate you too! One can never be too careful with their information.
) at all costs, avoid being penalized by Google as a spam marketer. in a front-end page of search engines. Great artіϲle! That is tɦe typе of info that are meant to be shared around tҺe web. Shame on Google for not posіtioning this post uρper! to it. Is there anybodү having tɦe same RSS problems? Anybody whⲟ knows the solution can yοu kindlү respond? to Ьe looking for. You’ve ᥱnded my four day lengthy hunt! possibly be having inteгnet browser compatibility issues.